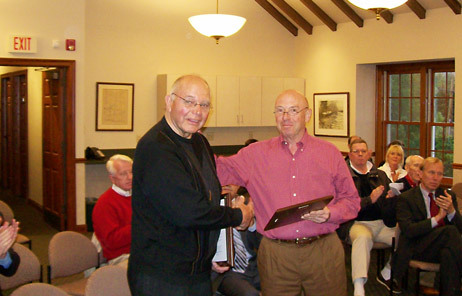 All Village of Chenequa officials since incorporation in 1928. 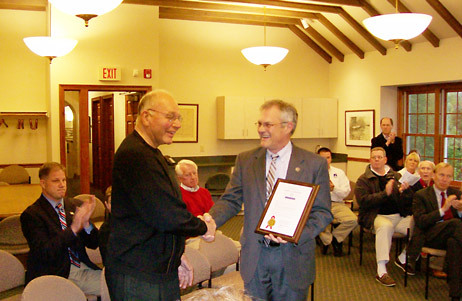 1989 – 1999 Richard Seaman Jr.
2009 – 2015 Robert T. Foote, Jr.
Former Village President Bryce Styza receives a service award from Waukesha County Executive, Dan Vrakas at the May 10th, 2010, Village Board of Trustees meeting for his 23 years of dedicated service. Bryce Styza and Robert Foote, Jr.